An integrated, corrosion-proof sensor suite combines a rain collector, temperature and humidity sensors, and anemometer into one package for rugged reliability and performance. 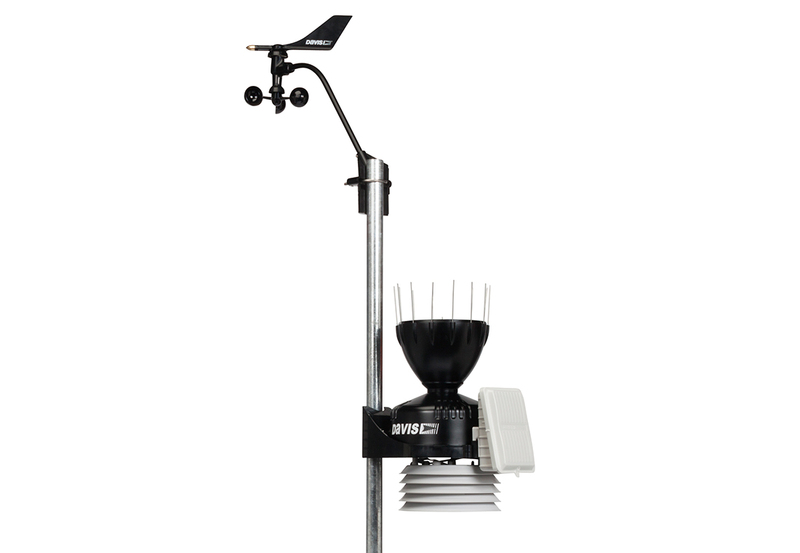 Our innovative integrated sensor suite combines our rain collector, temperature and humidity sensors, and anemometer into one package—making setup easier than ever and improving performance and reliability. For improved accuracy, temperature and humidity sensors are housed inside a radiation shield. The shield protects against solar radiation and other sources of radiated and reflected heat. The anemometer comes with 40 feet of cable so it can be elevated for optimal performance. Transmission range is up to 1,000 ft. (305 m). Comes with a 100-foot cable which can be extended with extension cables (sold separately). 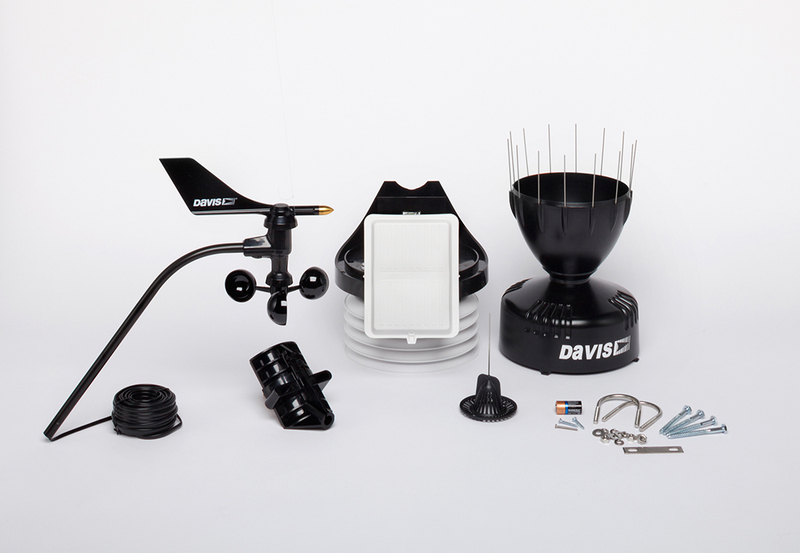 Anemometer can be sited up to 40 ft. (12 m) above the other sensors with included cable. 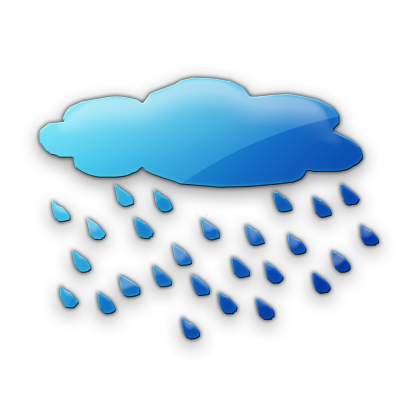 Add a Cabled Weather Envoy and WeatherLinkIP to send data to WeatherLink.com through your internet router for online viewing. Then view your data online or download it to your PC or view with your phone app.